The Cedar Rapids Public Library joins libraries across the country in bringing attention to the harms of censorship during Banned Books Week September 24-30. Story Time: Let’s Read a Banned Book! Wednesday, September 27 at 10:30 am at the Downtown Library and Thursday, September 28 at 10 am at the Ladd Library. Bookish Arts and Crafts: Banned Book Bling! Create earrings, a key chain, or a pendant during this special craft program for adults at the Downtown Library on Wednesday, September 27, at 5:30 pm. Registration is required—please visit http://bit.ly/BannedBookBling or call 319.261.READ for assistance. Free People Read Freely: A Banned Book Event. Citizens from around the community will read aloud from banned books from 10 am to 2 pm on Saturday, September 30, in the Downtown Library. Banned Books Week is an annual event celebrating the freedom to read. Typically held during the last week of September, it highlights the value of free and open access to information. 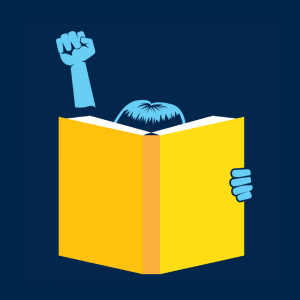 Banned Books Week brings together the entire book community – librarians, booksellers, publishers, journalists, teachers, and readers of all types – in shared support of the freedom to seek and to express ideas, even those some consider unorthodox or unpopular. For more information on the Cedar Rapids Public Library, visit www.crlibrary.org or call 319.261.READ.